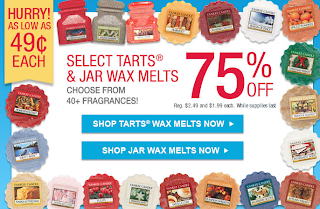 Hurry over to Yankee Candle Online and save up to 75% select Yankee Candles. Its HERE that you'll find items as low as $.49. I LOVE the smell of Yankee Candles in the home. I am headed over to pick up a few things. With prices like this, items will go QUICK!